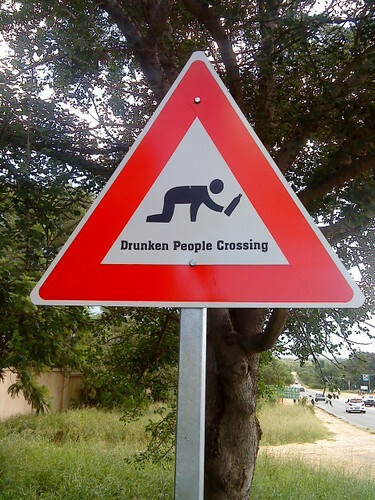 I had never seen or heard that these signs exist and so it was quite a laugh when I read about them this week. From what I see they exist in Romania, Thailand, South Africa. I found this funny. But how can it be that people didn't think of these things before naming their children ? Next time you sign your name spare a thought for Justin Case, Barb Dwyer and Anna Sasin. The incredibly unfortunate names emerged in our study of the most bizarre names in Britain today. Other unlucky punters are also trying to lead normal lives despite being named Stan Still, Mary Christmas, Paige Turner, Chris Cross and Barry Cade. It might also be worth thanking your lucky stars you're not called Sonny Day, Rose Bush, Pearl Button or Hazel Nutt, who also make the list of 'The Most Unfortunate Names in Britain'.